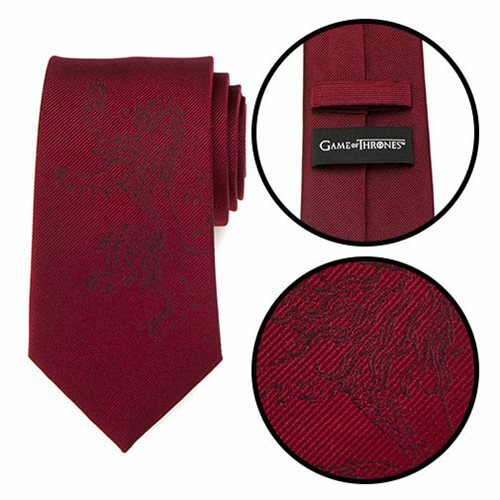 Proud and regal as the Lannisters themselves, this tie is a rich shade of red that features the lion sigil roaring to life. Made of woven silk, this Game of Thrones Lannister Lion Red Men's Tie will have you ruling your day like the king you were meant to be. Measures about 59-inches tall x 3-inches wide.